Compare the options below and choose which pass is right for you! 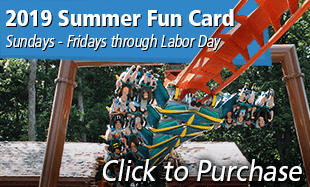 Sign up for our Season Pass Insider e-newsletter to receive emailed updates. Click to learn more about our Pick Your Price tickets and save big! A replacement fee of $5 per Season Pass or Summer Fun Card will be required for reprints in the case of lost, forgotten or stolen passes. Online orders must be placed by persons ages 13 and older only. All sales are non-refundable and not for re-sale. Children ages two and younger are admitted free. Need help? 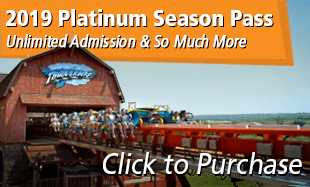 Email sales@holidayworld.com or call 1-800-467-2682. Our Sales Office is staffed 8:00am – 4:30pm CT daily from May through October and weekdays the rest of the year. 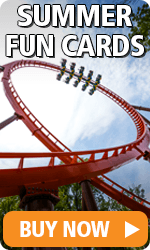 Bring your 2019 Season Pass, Platinum Season Pass, or Summer Fun Card voucher to the Holiday World Season Pass Photo Room to have your new Season Pass or Summer Fun Card printed anytime the park is open. 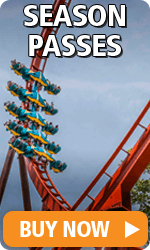 Note: If you had a 2018 Season Pass or Summer Fun Card and purchased a 2018 Pass or Card, we encourage you to bring your 2018 Pass/Card with you. We may be able to add an “19” sticker and save you even more time! 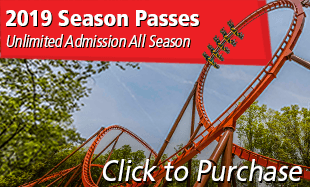 Buy Your 2019 Season Passes Today! Join the Season Passholders Facebook Group for more insider information!